If you have any questions about the TRIBU information page below please contact us. The impressive superyacht TRIBU' is a motor yacht. This 51 m (164 foot) luxury yacht was built by Mondomarine in 2007. She could be considered a recent full displacement yacht. Superyacht TRIBU' is a nicely styled yacht that is able to accommodate up to 8 guests on board and has approximately 12 professional crew. This balanced boat was designed by naval architects Mondomarine & Sydac and Luca Dini & Massimo Vignelli. Studio Lissoni produced the interior design. The yacht's wider design collaboration came from Mondomarine & Sydac and Luca Dini & Massimo Vignelli. The formal naval architect firm intellectual property are the work of Mondomarine & Sydac. 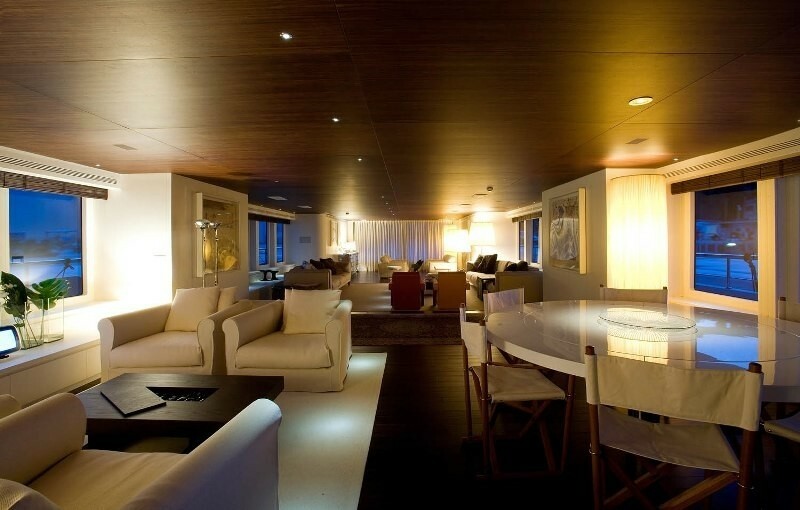 Motor Yacht TRIBU' received her stylish interior designing from the interior design company of Studio Lissoni. 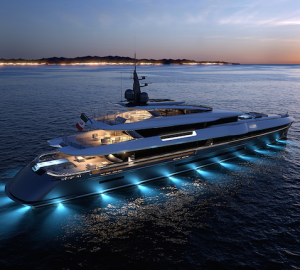 Italy is the country that Mondomarine built their new build motor yacht in. After her formal launch in 2007 in Savona she was thereafter delivered on to the happy owner after sea trials and testing. Her main hull was built out of steel. 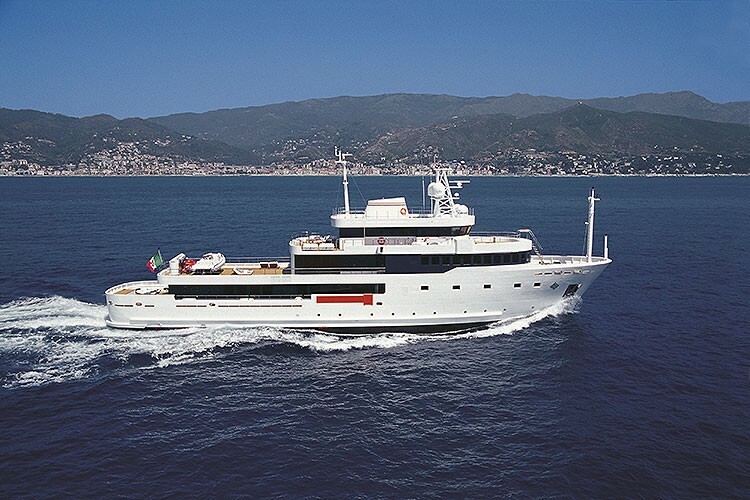 The motor yacht superstructure is fabricated predominantly with aluminium. 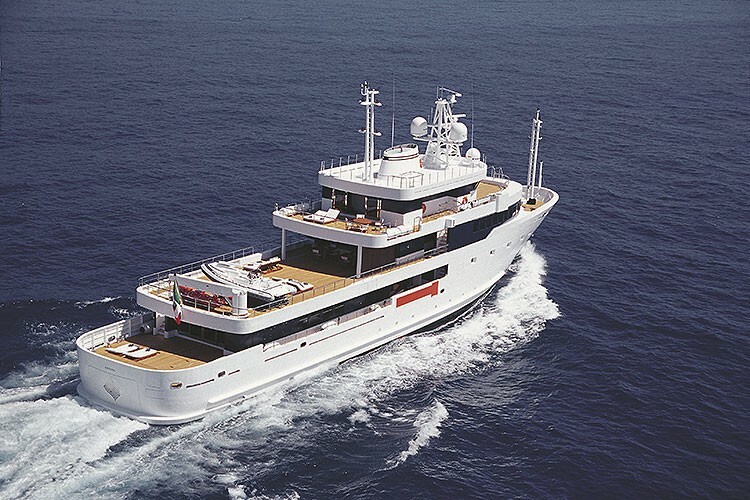 With a beam of 9.8 metres or 32.2 feet TRIBU' has spacious interior. A reasonably deep draught of 3m (9.8ft) selects the amount of worldwide harbours she can enter into, taking into account their particular depth at low tide. This ship makes use of two efficient DEUTZ-MWM diesel engine(s) and can accelerate to a swift max speed underway of approximately 15 knots. The engine of the ship produces 1234 horse power (or 921 kilowatts). Her total HP is 2468 HP and her total Kilowatts are 1841. This yacht’s reasonable cruise speed is 13 knots which gives a range of 3200. 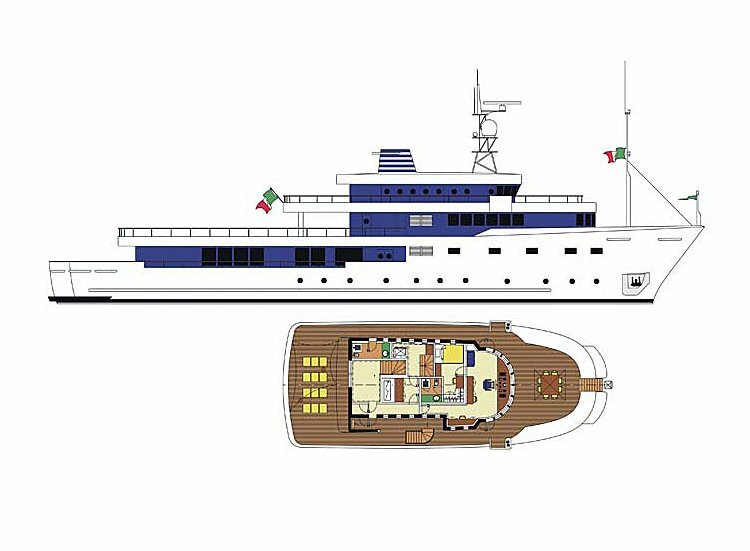 Apportioning space for a limit of 8 yacht guests staying on board, the TRIBU' accommodates everyone in luxury. She also has room for circa 12 proficient crew to manage. 50.5 metres / 164 feet. Her Engine(s) is two 1234 Horse Power or 921 kW Deutz-Mwm. The Model type is TBD620 V8 diesel. Giving the combined power of 2468 HP /1841 KW. Range in nautical Miles is 3200 at a speed of 13 knots. 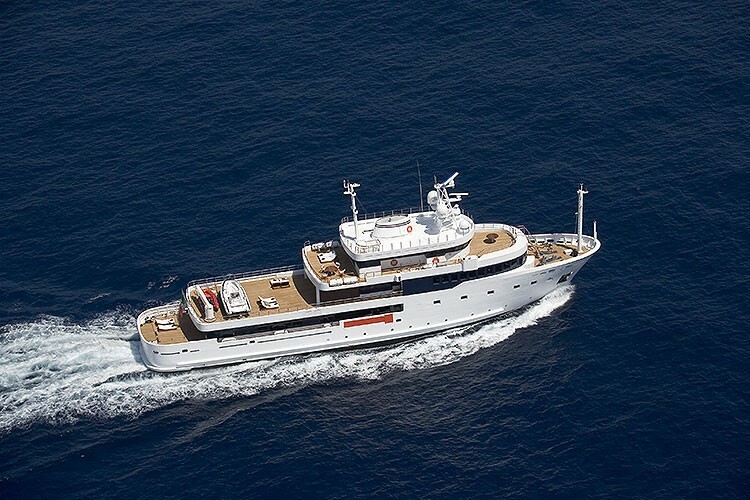 The luxury yacht TRIBU displayed on this page is merely informational and she is not necessarily available for yacht charter or for sale, nor is she represented or marketed in anyway by CharterWorld. This web page and the superyacht information contained herein is not contractual. All yacht specifications and informations are displayed in good faith but CharterWorld does not warrant or assume any legal liability or responsibility for the current accuracy, completeness, validity, or usefulness of any superyacht information and/or images displayed. All boat information is subject to change without prior notice and may not be current.